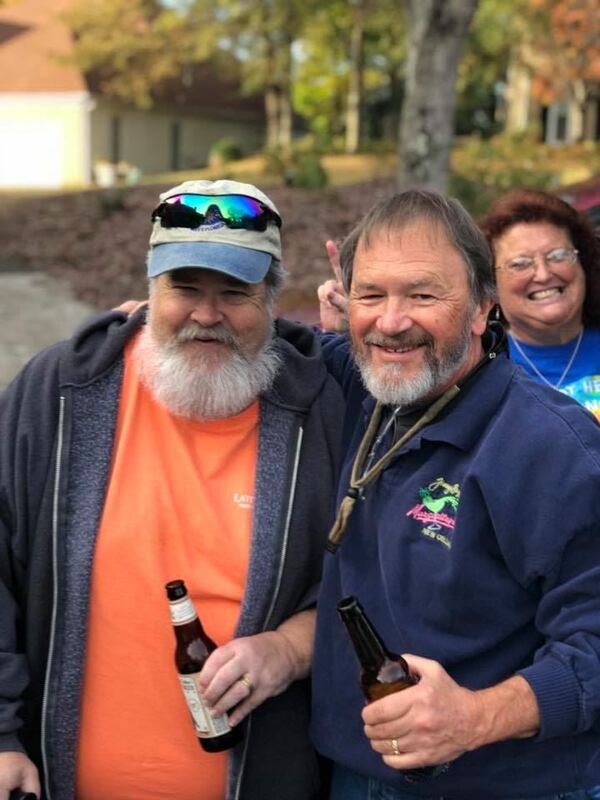 Way back in 1989, Scott Nickerson had a crazy idea: Instead of seeing like-minded parrot heads only when Jimmy's concert came to town, why not meet up from time to time and listen to music, have some fun and do a little good for others while they're at it. From that spark the Atlanta Parrot Head Club was born, and Jimmy's people liked it so much they asked Scott to create the national organization we now know as PHiP! we are throwing a HUGE party! music, sun, sand and celebration. It's a party 30 years in the making; you don't want to miss it! It is with a very heavy heart that we announce the passing of Ann Gotthelf. Better known as Mother Parrot, she was 69 years young and loved this club like her family. She loved sporting her best tropical attire and brought joy to so many peoples lives. We can rest easy knowing that she is now back together with the love of her life Lee. We will be gathering at 12:30 pm in the Fellowship Hall at East Cobb Church of Christ located 5240 Roswell Rd, Marietta, GA 30062. The service will start at 1 pm. Daniel White, the son of David and Laura White who knew Ann, will be handling the service. Dress Attire - Church or your finest Parrot Head wear. Afterwards we will head down the street to The Wing Cafe & Tap house for a Celebration of Ann's life. The Wing Cafe & Tap House is located at 2145 Roswell Rd, Marietta, GA 30062. We have the use of their heated patio from 2:00 until 5:00 pm. 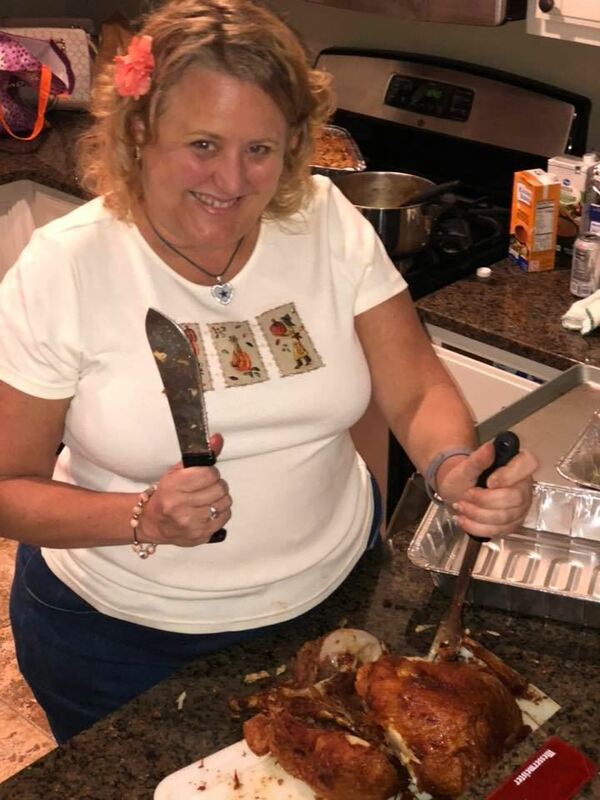 Please bring your favorite picture of Ann, our beloved Mother Parrot to share. In lieu of flowers please make a donation in Ann Gotthelf's name to Cancer Foundation of Georgia or a charity of your choice. 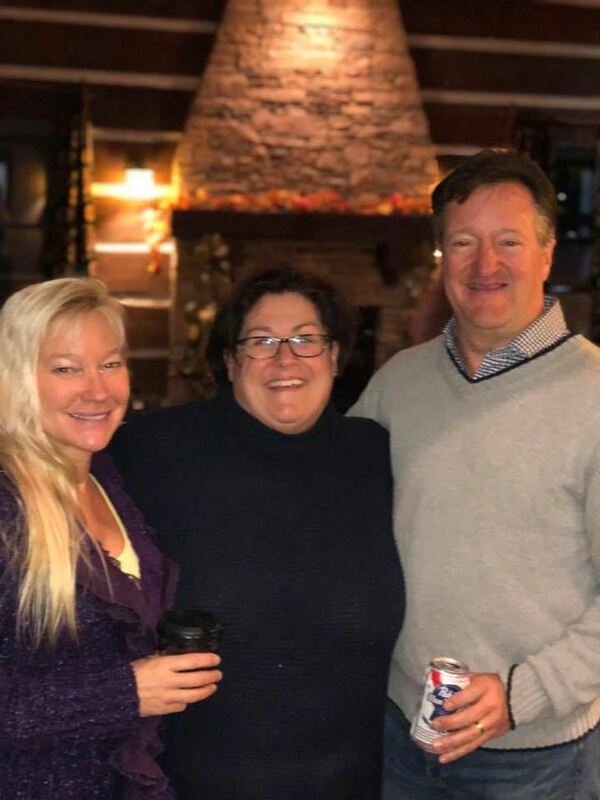 On November 17, 2018 forty five club members joined together in Woodstock for our annual Thanksgiving Day celebration. This is a wonderful party to kick start the holiday season. The club provided three turkeys and club members Joel Oates and Everett Glover fried them up for us. Other club members brought appetizers, side dishes and desserts to be shared. Libations were flowing and the Gopher Broke band provided us with an evening filled with great music for singing and dancing. We have kicked off the 2018 Holiday season with a bang. A big thank you to everyone who was involved with organizing this wonderful event and everyone who came out to support us. This year we had a special “Party With a Purpose." One of our own members, Gary Austin, was in a serious motorcycle accident just a few months back. We are all so thankful that he is now up and walking again. Our generous club members donated some wonderful raffle items and we were able to raise funds to help Gary in his recovery. 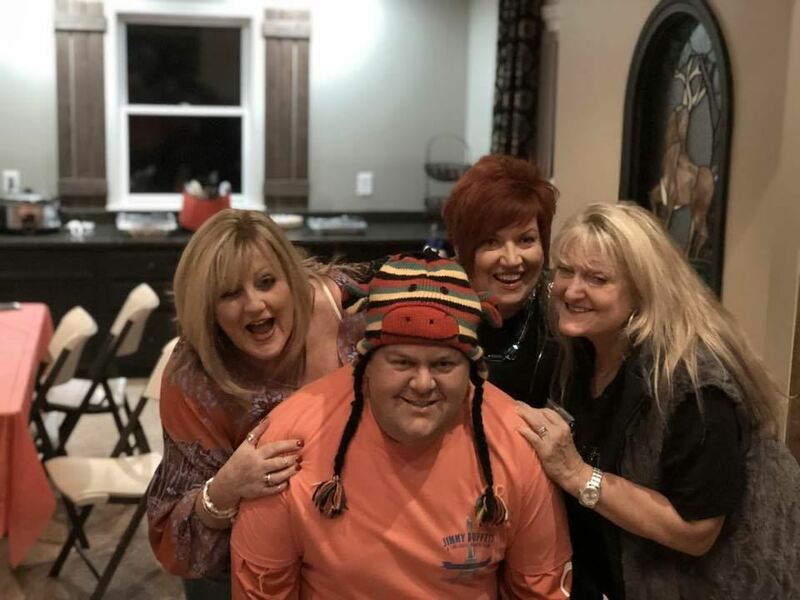 Gail, Sherri, Lisa, Jeff and Jeff's Hat posed for a pic! A blast from the past: Long-time Atlanta Parrot Head Bryan Tedford was in town for the party! A Party 30 Years in the Making! Next year marks the 30th Anniversary of the founding of the Atlanta Parrot Head Club! Scott Nickerson started it all right here in Atlanta, and our club gave rise to the umbrella organization Parrot Heads in Paradise and the entire Parrot Head nation. In order to mark the occasion and to celebrate the amazing community that we've built we are going to throw a blowout party! Mark your calendars now for the weekend of July 12 to July 14, 2019!!! Stay tuned for a formal announcement and more details soon! Sweep the Hooch is an annual day of service to the Chattahoochee River watershed mobilizing volunteers on foot, in waders, or kayak/canoe paddlers to remove trash at locations throughout the watershed. Sweep the Hooch brings people together to give back to the mighty river that gives us so much. Over 8 years this event has removed more than 57 TONS of trash with the assistance of more than 3,500 volunteers. Wounded Warrior Project is one of the largest veteran service organizations in the United States with office locations and partners across the country. As a veterans' charity, they serve veterans, caregivers and families of veterans who incurred a physical or mental injury or illness on or after September 11, 2001. The Man Olympics is a grown-up field day held annually. This year it benefitted the Gwinnett Medical Center's Breast Health Center. Participants competed in events such as Football Toss, Putt-Putt, Horse Shoes, Ladder Ball, Basketball Free Throws and Corn Hole! In past years there have been additional events including a Man vs Food Wing-Eating Contest and a Spirit Wear Competition because "Real Men Wear Pink"! The Atlanta Community Food Bank works with more than 600 nonprofit partners—including food pantries, community kitchens, childcare centers, night shelters and senior centers—to distribute over 60 million meals to more than 755,000 people in 29 counties across metro Atlanta and north Georgia. They are a member of Feeding America, the nation’s leading domestic hunger-relief charity. 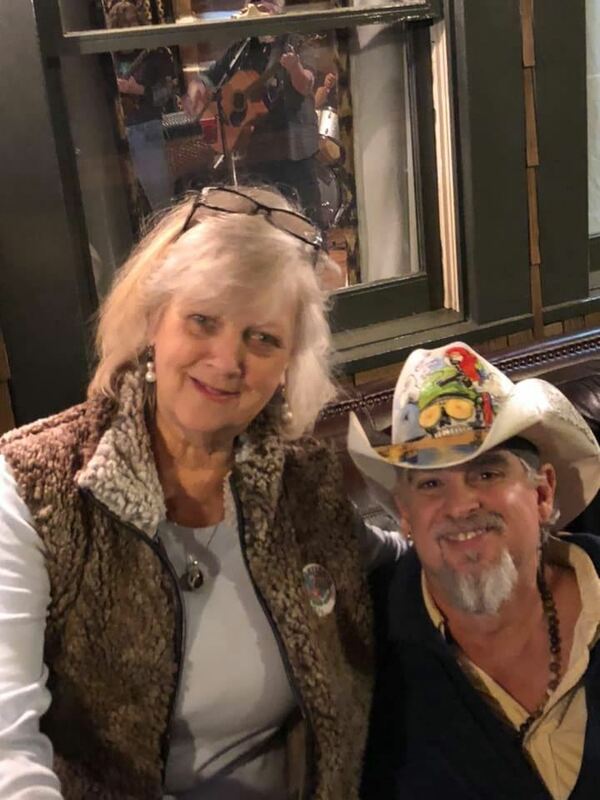 Over 60 parrot heads, friends and guests packed out the patio at Miller’s Ale House on Saturday, June 23rd for the Atlanta Parrot Head Club’s 29th anniversary party. As always, it was a party with a purpose. Guests donated over 200 pounds of food (that is what the guys who loaded everything on the truck estimated the weight to be) for The Atlanta Community Food Bank. The club raised over an additional $1000 for the Food Bank through a raffle, prizes for which included, a Marietta Food Tour, The Wing Café and Tap House gift certificate, a massage from the club’s own massage therapist Sue Lorincz, multiple gift baskets and a Margaritaville cookbook. In addition to the fund-raising there was some fun, quality time with friends and a little dancing thanks to the music provided Jim Asbel. Congratulations and kudos to all those who helped plan the party and all of those who came out and made the night a smashing success. Big plans are underway now for the is underway now for the 30th Anniversary Celebration next year. Stay Tuned. Your new Board of Directors! Congratulations and Welcome to Bob Scarboro for being elected to the Board of Directors of the Atlanta Parrot Head Club! In addition to voting on all club matters, Bob will be focusing on Community Service. The club owes a huge debt of gratitude to outgoing board member Bo Shurling as well. Under Bo's guidance the club's social events, happy hours and weekly email newsletters have been better than ever. Thanks Bo! Taking over for Bo with regard to Social events will be Gail Waters! It was a ghoulish and great time at October's roaming happy hour. The club started out on the upper patio of Tin Lizzy's Cantina for food and spirits before touring Atlanta's historic Oakland Cemetery with different kinds of spirits. Among the ghosts who visited the group were Willis Erwin Veneable, who came up with the idea to carbonate Coca-Cola, two sisters murdered by their third sister - Florence and Minnie Force, Deliverance author and Poet Laureate of the United States James Dickey, and Beatrice Thompson, an African-American doctor who set up her medical practice in Athens in 1901. The night was a hit and we plan on putting together a group again next year to make the tour. We'll get tickets earlier so we can get more members into the event which sold out quickly this year. 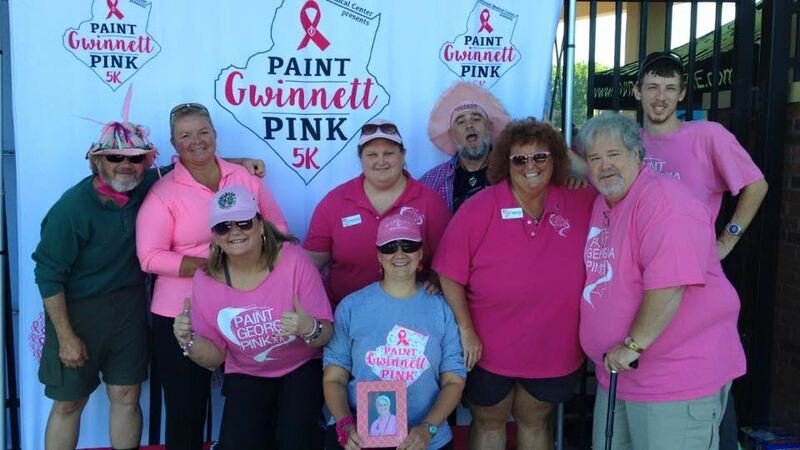 With over 900 participants and almost $100,000 in donations, the inaugural Paint Gwinnett Pink 5K Walk for Breast Cancer on Saturday, October 1st, at the Gwinnett Braves Coolray Field and nearby neighborhoods was a huge success. Simply put, ”It was AWESOME!! !” says Susan Oates, APHC member and Executive Director of Paint Georgia Pink, the organization that put the event together along with the Gwinnett Medical Center (GMC). Showing surprise at the eventual turn out, GMC’s Vice-President of Operations Cathie Brazell said “We were thinking we’d have 250 people.” in an article in the Gwinnett Daily Post. In addition to a free round of drinks, which were courtesy of The Wing, APHC members who made it to last week's happy hour received free tickets to the Atlanta Braves games this Saturday, September 17th and Sunday, September 18th - some of the last games being played at The Ted. The rain on Sunday didn't dampen spirits as the gang tailgated and had a blast at the game. Remember membership and showing up for events has its benefits! Hope to see you at our next event. 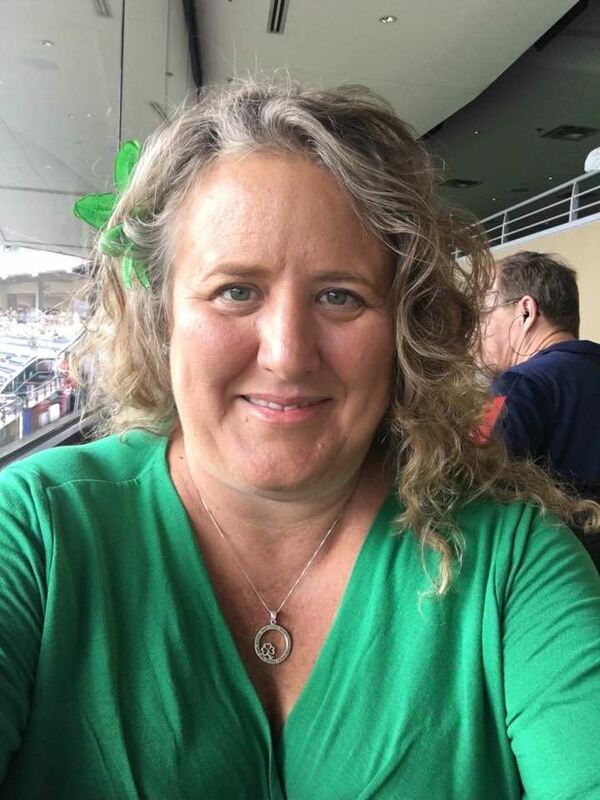 Gloria Pashke takes in the Braves game on Saturday. She is sporting green not for a team but to remind everyone that September 17th is half-way to St. Patrick's Day. 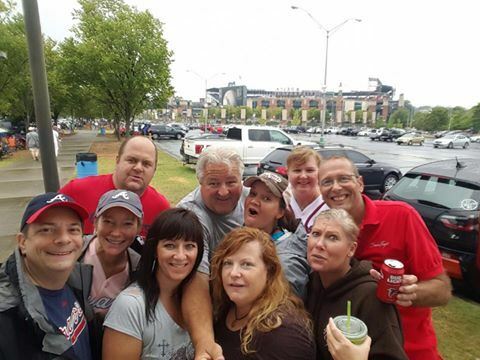 APHC club members and friends party in the parking lot before Sunday's Braves game. Front row from L to R: Brent Jones,Tammy Jones, Mandy Carola, Laureli Srery, and Rebecca Somoza. Back row from L to R : Jeff Hall, Bob Scarboro, Sue Lorincz, Terry Jakubowski Brown and Stuart Vaughn.